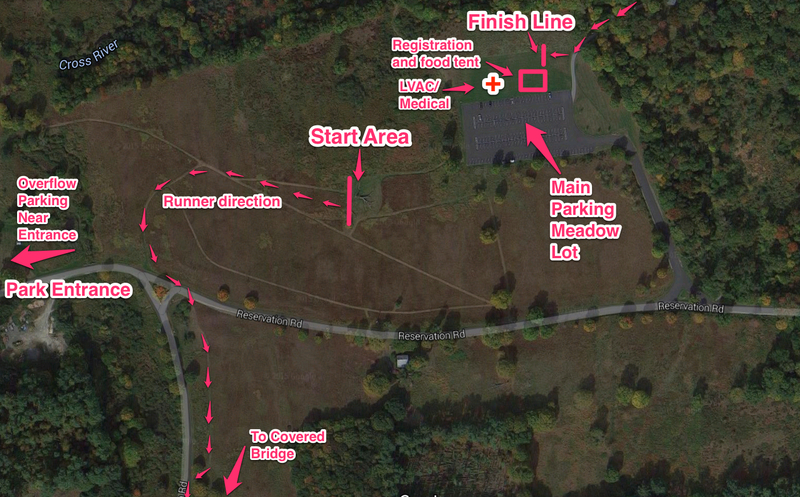 once you are at the park where race parking, registration, start, and finish are located (lower down this page). Click here for detailed runner logistics note. 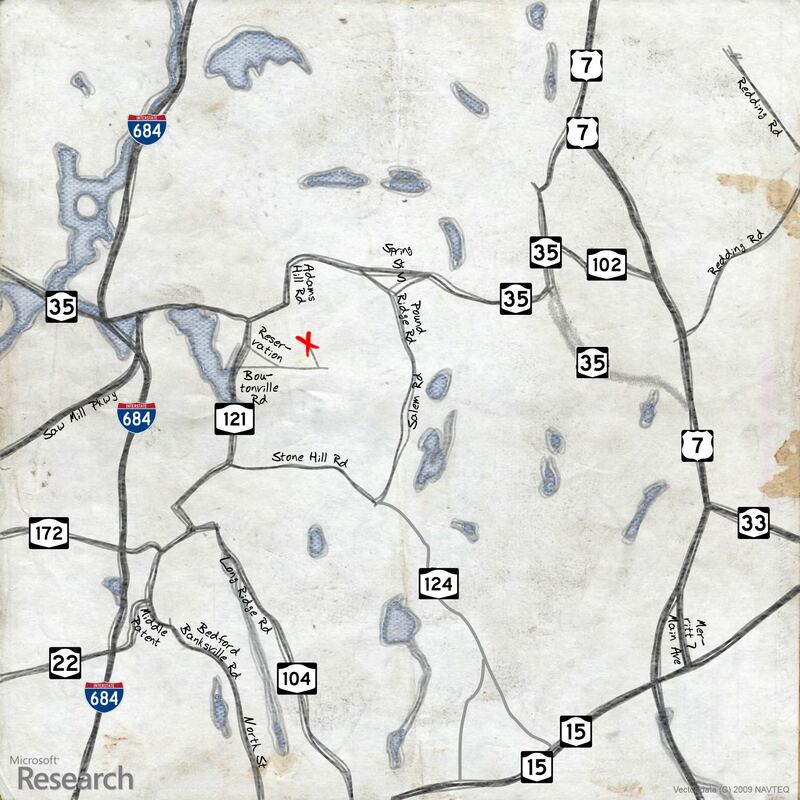 The street address to use for getting to the park entrance is 4 Reservation Road, Cross River, NY 10518. The parking lot is 1 mile up from there on the left hand side of Reservation Road. You will see the meadow and the meadow lot well before the left turn you will have to make to get into the parking lot.